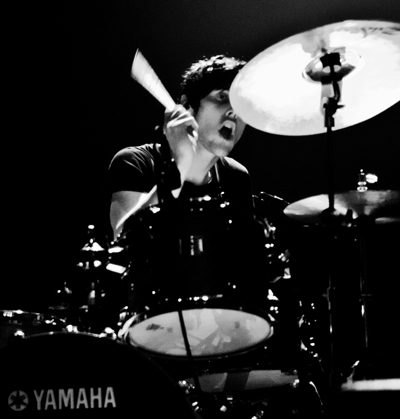 Born in Melbourne, Leigh is widely regarded as one of the country’s most exciting and diverse young drummers. Since graduating from the Victorian Collage of the Arts in 2009, he has gone on to work with Gypsy and the Cat, M-Phazes, Phrase, Daniel Merriweather, Illy, Gossling, Jon Stevens, Michael Paynter, The Veronicas, Vanessa Amorosi and Kaz James just to name a few. Known for his outstanding musicianship Leigh has been featured in Drumscene magazine, Modern drummer magazine and featured artist at Australia’s Ultimate Drummer’s Weekend along side Dave Weckl, Cindy Blackman, Rodney Holms and Thomas Lang. Also an active educator Leigh has contributed to multiple transcriptions and educational columns for Drumscene Magazine Australia.